In some instances, betting can lead to problems and Sporting Index is committed to taking responsible steps to discourage and reduce the occurrence of problem gambling. Sporting Index is regulated in the UK by the Financial Conduct Authority (FCA) and one of their overriding objectives is to secure an appropriate degree of protection for all Sporting Index clients. Our code of conduct has been drawn up in line with the FCA’s Treating Customers Fairly initiative and is detailed below. It covers age verification, responsible advertising and promotions, client accounts and trading limits, self-exclusion, social responsibility and client protection, monitoring and complaints. Under the Financial Services and Markets Act 2000, Sporting Index is required to have procedures in place to ensure that the identities of all its clients are properly verified and sufficient information is gathered and recorded to permit Sporting Index to 'know its clients'. Sporting Index will take steps to confirm the age and identification of every new customer by using electronic verification software including voters' roll information. Sporting Index clearly displays an 'over 18s only' sign on all the home pages of its various sites. This signage links through to a page with a clear message about underage play. Through the registration process there is a clear message regarding underage play and the steps the company takes to check on age. This acts as a good deterrent to put minors off trying to access a company's sites. Such a message is in the 'over 18s only' link. In addition, all applicants are asked to confirm on the application form that they are over 18 years old. All Sporting Index advertising and promotions are compliant with the relevant Financial Conduct Authority rulebook and advisory codes of practice. This includes appropriate risk warning notices on all promotional materials. Advertising does not target those under the age of 18. This includes not just the content but the placement of advertising as well. All advertisements and promotions give a balanced message with regards to the possibility of winning and losing. Advertisements specifically confirm that clients may lose more than their initial stake. At no time is it suggested that gambling is a means of solving financial difficulties. Clients can only have one account with Sporting Index. Clients are able to access their recent account history, including all deposits, withdrawals and bets. Any 'free to play' or 'play for fun' page displays the same links to this code of conduct as any 'play for cash' display. There is a clear message that the 'play for free' is for over 18s only. Sporting Index has developed internal controls and procedures to: (a) identify where client risk is incurred; (b) for the approval of incurring such potential risk once incurred; and (c) for the monitoring of that risk to ensure the satisfactory exposure of the client. All clients request their own trading limits and either deposit funds or are given credit against which they can trade. Credit limits are initially given based on the strength of information held with the credit reference agency that we use, CallCredit. If clients want to extend their credit facility then we will usually ask them to produce suitable evidence of funds to ensure that any credit provided is suitable. Sporting Index sets expected volatility limits for all its bets and gives credit at its discretion where requested by clients. Sporting Index has developed a product range and account options to suit the different demographics within its client base so that targeted promotion can take place. Clients can also chose a 'Stop Loss' account so that their losses are limited within agreed parameters in the case of an unusual or volatile result. When clients reach their trading limits, Sporting Index's trading software has automatic warning limits built in which inform the operator that a particular bet could take the client over his trading limit. The client will be advised that he is approaching or exceeding his limit. If clients want to increase their trading limit, they are required to inform Sporting Index and may be asked to show appropriate evidence of funds. 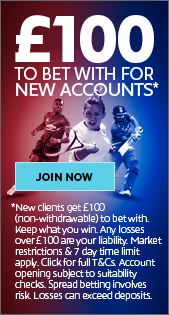 Clients are able at any point in time to exclude themselves from making any bet on any site. Once a client has requested for his account to be suspended or closed, this is performed immediately with any balance on the account paid back and the client is taken off appropriate promotional mailing lists. Clients must request in writing if they subsequently want their accounts to be re-opened. All pages on the Sporting Index website contain a link to this code of conduct. All pages also contain a link to the Financial Conduct Authority's website and a link to a risk warning notice. At the bottom of the home page an appropriate risk warning statement is also displayed. Clients are required to acknowledge that they have read and understood Sporting Index's risk warning notice before proceeding to open an account. Sporting Index has a complaints handling procedure that has been drawn up in consultation with the Financial Conduct Authority. This clearly states what actions clients have to take if they want to make a complaint against Sporting Index. If you feel that your gambling is getting out of control, then please read the Recognising a Betting Problem section. All Sporting Index's sites and promotional material are subject to regular review by the Financial Conduct Authority. Sporting Index is required to report on six monthly intervals the number of complaints it has received, the nature of the complaint and the time taken to respond. Sporting Index has a Compliance Monitoring Programme in place which seeks to ensure that the company complies at all times with the relevant rules and guidelines of the Financial Conduct Authority. Sporting Index's account operating rules apply to all clients who open an account with Sporting Index and every client is asked to acknowledge that they have read and understand these rules. In the event of any perceived conflict between the rules and this code of conduct, the account operating rules shall always apply. If you feel you might have a betting problem here are some steps on how to recognise the symptoms and what help is available. - Do you stay away from work or college to bet? - Do you bet to escape from a boring or unhappy life? - When betting and you run out of money, do you feel lost and in despair, and need to gamble again as soon as possible? - Do you bet until your last penny is gone, even the bus fare home or the cost of a cup of tea? - Have you ever lied to cover up the amount of money or time you have spent betting? 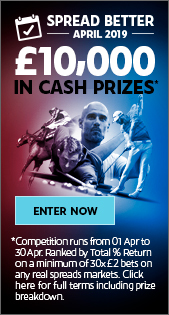 - Have others ever criticised your levels of betting? - Have you lied, stolen or borrowed just to get money to bet or to pay betting debts? - Are you reluctant to spend 'betting money' on anything else? - Have you lost interest in your family, friends or interests? - Do arguments, frustrations or disappointments make you want to bet? - Do you feel depressed or even suicidal because of your betting? The more you answer 'Yes' to the above questions, the more likely you are to have a betting problem. If you feel you are in difficulty with your betting, or know someone who is, contact GamCare here or on their UK Helpline 0845 6000 133. GamCare is a charity committed to promoting responsible attitudes towards gambling and working for the provision of proper care for those harmed by gambling dependency. A GamCare counsellor will listen to you carefully and encourage you to talk about your concerns. Sometimes just telling someone can be a relief, and is an important first step towards dealing with the problem. The counsellor will be able to suggest ways of helping yourself to stop betting, or if you are someone who is affected by a betting problem, ways to support the person in their process of stopping, and ways to deal with the effects on your own life. If you want to address the underlying issues that drive you to bet more than you want, the counsellor may be able to help you do that too. The Gamcare helpline is open from 10.00am to 10.00pm Monday to Friday, 10.00am to 6.00pm on Saturdays and 6.00pm to 10.00pm on Sundays.